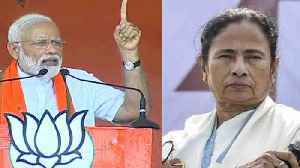 There was both an intended and unintended consequence of Mamata Banerjee's curious dharna against the CBI's attempt to question the Kolkata Police Commissioner in connection with the Saradha scam. PM Narendra Modi attacks Bengal CM Mamata Banerjee during a rally in West Bengal's south Dinajpur district. PM Modi asked the voters in West Bengal to put brakes on "Speed-breaker Didi" Mamata.. 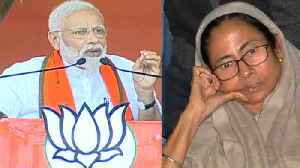 Referring to West Bengal CM Mamata Banerjee as “speed breaker Didi” PM Narendra Modi said that she will know after May 23 what is the result of the vandalism, looting of money, and stopping the..